Royal Bank of Scotland said on Friday it paid out its first dividend since 2008 — paying its ordinary shareholders 2p per share. 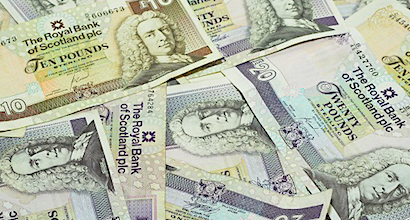 “Around 190,000 ordinary shareholders, including UK Government Investments (UKGI), will receive a total in the region of £240 million,” said RBS. RBS CEO Ross McEwan commented: “I’m pleased to be able to pay a dividend to our shareholders; a small return after their many years of patience and a testament to the hard work of everyone at this bank. “This is another important milestone in our turnaround, almost ten years to the day that RBS was rescued by the British taxpayer. RBS is still 61% owned by the UK taxpayer.